Members are invited to list any photography related items on this page for sale. We have had a lot of success in the past with some members even selling gear to people in the USA and Germany, from an advert placed on this page. 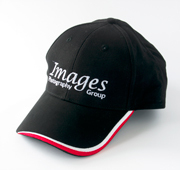 Yes the Images website is read by photographers all over the world so we are not just world famous in Pukekohe ! Listing your gear on this page is a FREE service for members. - Your contact details to be shown on the listing. - A full description of the gear being offered. - One photo of the item. You must let us know as soon as it sells so we can take the listing down.